UN atomic watchdog chief Yukiya Amano is asking IAEA member states for ideas on how to persuade Israel to sign up to the nuclear Non-Proliferation Treaty (NPT), according to a document seen by AFP on Thursday. 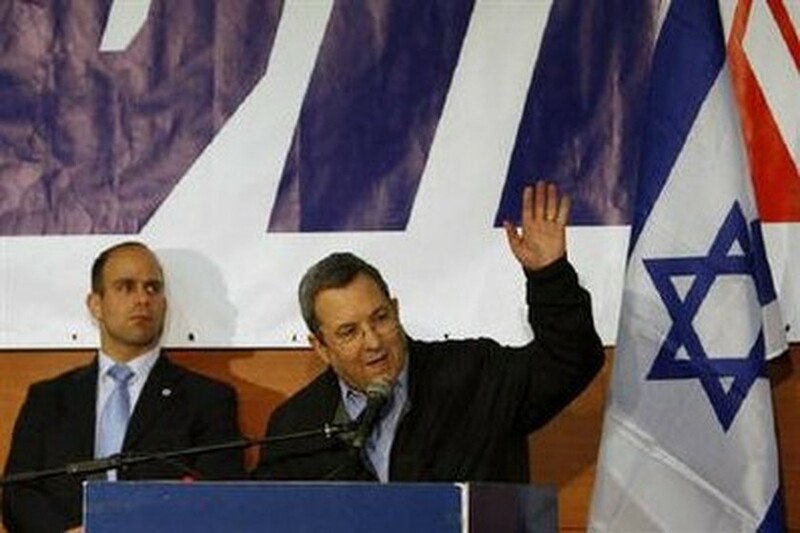 Israel's Defence Minister and Labour party leader Ehud Barak speaks during a party conference in Tel Aviv January 7, 2010. Israel says "no" to signing NPT. In a letter, dated April 7 and circulated to the foreign ministers of members states of the International Atomic Energy Agency, Amano asked ministers to "inform me of any views that your government might have" on the issue. At the IAEA's last general conference in September 2009, member countries passed a resolution entitled "Israeli nuclear capabilities" which called on the Jewish state "to accede to the NPT and place all its nuclear facilities under comprehensive IAEA safeguards." Israel is widely considered to be the Middle East's sole if undeclared nuclear power and is not a signatory to the NPT. The symbolic, non-binding resolution -- which had been tabled by Arab states -- was passed, after some controversial debate, with a total of 49 countries in favour, 45 against and 16 abstentions. And although it was only a non-binding resolution, it urged the IAEA's director general "to work with the concerned states towards achieving that end". And it requested the director general "to report on the implementation of this resolution" to the agency's board of governors and the upcoming general conference in September. Thus, Amano's letter appears to be simply the follow-up to that resolution and was not a targeted effort to put pressure on Israel, observers said. Just this week, in a speech to the NPT Review Conference in New York, Amano noted "that the IAEA General Conference has adopted resolutions in recent years on the establishment of a nuclear-weapon-free zone in the Middle East. "Last year's General Conference also adopted a resolution on Israel's nuclear capabilities. I am following up on these resolutions as requested by the General Conference," Amano said.